Update from CNN: Police identified the California bar gunman as Ian David Long. The gunman's body was found in the bar. The shooter is dead, and his body was found inside the bar, police said. He was dead when police arrived on the scene, Ventura County Sheriff Geoff Dean said. Authorities had "minor" run-ins with him before. Dean described several "minor events" between Long and authorities, including a traffic collision. Long was the victim of a battery in 2015 and in April, deputies were called to his house for a subject disturbing. ABC news reports Sgt. 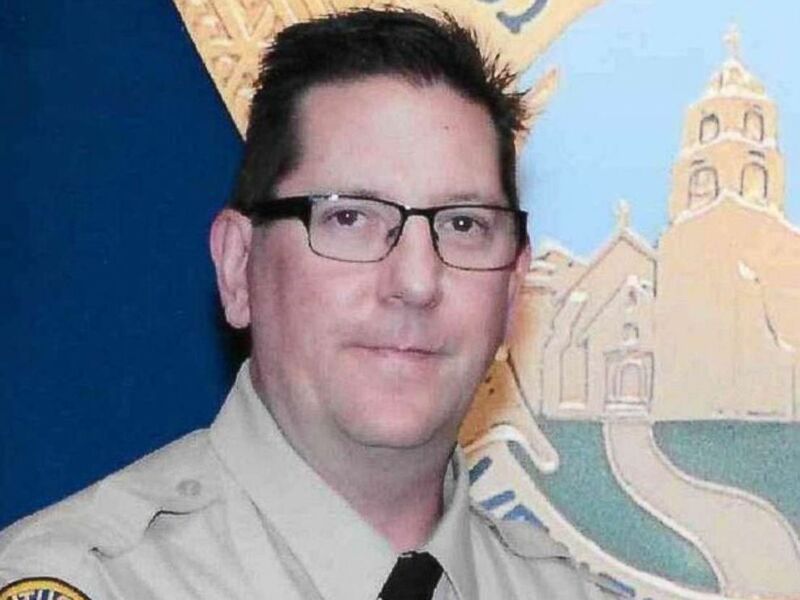 Ron Helus, a 29-year veteran of the Ventura County Sheriff's Office, was speaking his wife on the phone "as he does several times during the shift, and said to her, 'Hey, I got to go handle a call, I love you,'" Ventura County Sheriff Geoff Dean said during a press conference Thursday morning. 12 people are dead, including a Ventura County Sheriff after a gunman opened fire late Wednesday at a Thousand Oaks bar where college hundreds of 18+ college students were hanging out at a popular bar reports Ventura County Sheriff’s Office. Multiple fatalities are being reported after the gunman walked into the Borderline Bar & Grill around 11:20 p.m, firing a handgun killing the victims and himself. The gunmen was found dead when police arrived at the scene. The suspect was described as wearing all black, in a trench coat who was wearing glasses with a beenie hat on and witnesses say that he threw smoke bombs as he was firing at the victims. At least a dozen others have been hurt that were inside of the venue when they tried to escape the shooter. Before shots were fired victims were country line dancing and the club was just starting to get packed a witness said. Those who were inside say that they threw barstools and hid under pool tables in attempt to survive the horror. Victims were taken to multiple hospitals and sheriff office says that victims can call the victims hotline (805) 465-6650. 29-Year Veteran Sergeant Ron Helus was pronounced dead after he was taken to the hospital after he died attempting to secure the scene, he was first on the scene when the gunmen was firing. There were six off duty police officers inside of the music venue at the time the shooter entered. Sergeant Helus leaves behind a wife and adult son. This is being investigated and is an ongoing case.